Biff! This Batman Cast & Paint kit is amazing! 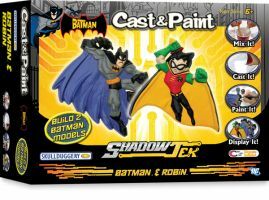 It comes with everything you'll need to make and paint casts of your favorite characters from the cartoon 'The Batman'. Each project takes 1-2 hours to finish; it's a great activity for kids and parents to share. Pow!